Many DIY ideas look easy enough in online articles and magazines, but when it comes down to starting the project, you might begin to realize that you're in over your head. Doing projects yourself not only saves you money, but is a hobby that allows you to improve your home on a regular basis. While these are ample reasons to tackle projects yourself, it's important to know your own boundaries in the do-it-yourself realm, and where it might be a good idea to seek the help of a professional. If you live in a house for an extended period of time, chances are a replacement roof or siding will be necessary. Roof tiles and panels get beat up by sun, rain, wind, and snow, and need to be pulled up and replaced with new ones. The same goes for siding on your home, which is another large project. There are many articles, blogs, and videos about replacing siding or roof panels on your own, but this might not be the best idea for the average DIYer. Here’s why: placement and layering of these panels and tiles is an art, as the pieces have to be layered correctly. Not to say that you can’t do these projects on your own, but small mistakes can have very damaging effects to your home over time. If panels aren’t placed and mounted correctly, elements of weather such as water and dirt can sneak between and underneath panels and do large amounts of damage in secret. Leave these large and important jobs to the professionals, who do this work daily and can provide professional warranties. As with siding and roofing, plumbing and electrical jobs can be serious work. Little do-it-yourself projects like replacing a light switch with a dimmer, replacing a light fixture, or installing a new faucet are quite do-able on your own, but large projects that require any serious replacements should be left to someone who is professionally trained in electrical work. Large jobs can cause serious injuries due to electrical shock or flooding in either of these areas. Who doesn’t want a remodeled kitchen with new fixtures and cabinets, new appliances and more open space? Especially after watching those home and garden shows where they tear almost everything out and start new. 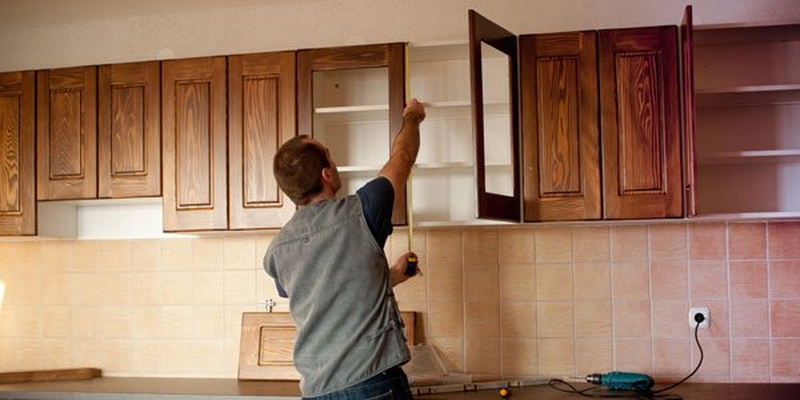 They make it look so easy—pulling old cabinets off the walls and installing new countertops, backsplashes, and shiny appliances. But redoing your kitchen requires a lot of electrical and plumbing work, as well as plenty of power tools and special know-how. While it looks plenty easy on television, there are a lot of people working behind the scenes and a lot of man hours completed to get kitchens all done in a few days or weeks. If you’re going to do a serious remodel, be sure to seek the right kind of help from decorators, electricians, and plumbers. If you have old family heirlooms such as an old oak chest, a china cabinet, or other household item, it can seem like a neat idea to redo these items yourself. Maybe you have a possession or two that belonged to grandma or grandpa, and you would love to take on the task of bringing it into its best state ever. While this is a fine idea, if you have not done the DIY project on something that isn’t a family heirloom, don’t chance it. Try sanding and sealing a thrift store chair before you try great-grandma’s old rocker. And don’t try to replace the glass in the china cabinet if you’ve never done so before. Leave those old items with sentimental value for professional restorers.